Looking for a remote hideaway destination for a heart-pounding holiday? This tailor-made experience to Mauritius and Rodrigues island combines the most defying destination to bring out your inner adrenaline junkie. If you are a Kitesurfing and adventurous water sports enthusiast, this 100% Islandian experience is made for you! Let us guide you towards a 12-days itinerary that will carry you to the rhythm of tides and winds up to an experience rich in emotions. Setting foot on the magnificent Rodrigues, Mauritius’s sister island, will mark the beginning of your exciting vacation. From Sir Gaetan Duval airport, a private car will take you to your hotel. Time to embark on a 5-day journey to discover the stunning geology and authenticity of Rodrigues. Welcome to Bakwa Lodge, a chic eco-friendly hotel nestled in a refined and authentic setting. Its white-sand beach, filao trees and crystal-clear turquoise water make an idyllic scenery that breathes well-being and serenity. Beautifully designed to provide a luxurious comfortable stay, Bakwa lodge is located on the west coast of Rodrigues, between Cherie mountain and Gravier village. The warm and outstanding hospitality, and the timeless character of its setting will seduce you without any doubt. As soon as you settle in your hotel room, you can begin your Rodriguan adventure with a bicycle ride along the beach of Anse Mourouk, and a 1-hour session of stand-up paddle. To ensure that your stay at Bakwa lodge remains memorable, spend your evening enjoying an authentic dinner made from the freshest local produce. Whether by Walk, hike or trek, this tour is the perfect adventure for nature lovers and fitness enthusiasts, to immerse in the wild nature of Rodrigues! After a lavish early morning breakfast at the hotel, get into your car to discover the “Balade Zen”, mapped out by Rodrigues Friendly. You will have the opportunity to unveil different regions of the island with a local perspective, including Chérie Mountain, Var Brulé, Trou d’Argent and St François. Feeling a little peckish during your hike? Check out ‘Madame Larose’ restaurant for lunch. Their octopus curry is absolutely fabulous! Get ready as you get back to your resort, the fun is not yet over! Your first kitesurfing session will start in the early afternoon. If you are a beginner, a two-hour training will help you get familiar with the equipment and feel safe to go out on your own. 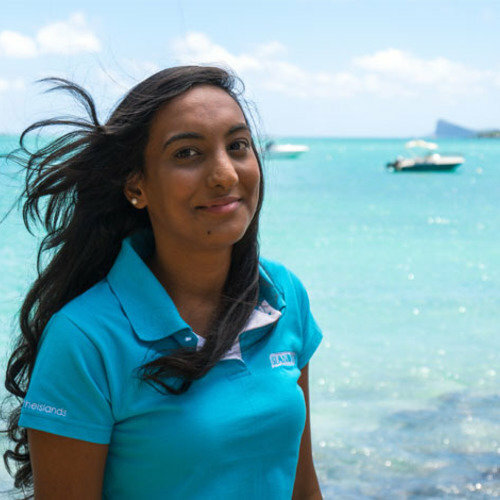 As for the experts, feel free to explore the stunning lagoon of Rodrigues during an hour and a half session! To end this day, laze on the sand and gaze at the luminous lagoon under the shades of coconut trees. It’s time to cool off before having dinner at Bakwa lodge. Beginners, start the day off with a stroll along the streets of Port Mathurin to visit the old authentic shops and the local market filled with a variety of local produce including the famous air-dried sausages. To discover the flavours of the local cuisine, stop by Ti Piment Rouge for lunch. Kitesurfing pros, the plan for the day is slightly different. Embark on a full-day excursion to explore the west regions of the island. You will have a unique marine experience on this breath-taking coastline and indulge in the Rodriguan gastronomy with a gourmet picnic! Back to Bakwa lodge, this day full of sensations with a 2-hour adventure riding the fabulous waves of Rodrigues. Today’s kitesurfing session will be even more adventurous and speed fanatics will have an exhilarating time! Since you are already enjoying life as a true islander, start this fourth day with a delicious breakfast and set sail to Ile aux Chat. Beginners, it’s time to demonstrate the skills you acquired during the first two training session. Experienced kite surfers, on the other hand, you will be guided by a professional to surf the waves and try some fun kiteboarding tricks. For lunch, we invite you for a barbecue to savour some new flavours and recharge your batteries. If you would like to go back for some more fun, a second kitesurf session is scheduled in the afternoon. Finally, end this eventful day lazing under the filao trees, admiring a glorious sunset and enjoying the magnificent view unfolding before your eyes.Looking for a seafood-based culinary experience prepared with Rodrigues local flavours? We recommend Marlin Bleu restaurant, located at Anse-aux-Anglais. Last day in Rodrigues but not least! After four days surfing the waves, go for a relaxing trip at Francois Leguat, Rodrigues’ nature reserve. Seize the opportunity to walk with giant tortoise and discover Rodrigues’ untouched luxuriant greenery for over 300 years. You may also see Rodrigues’ fruit bat and take a guided tour to the fascinating caves, unique to this part of the island. After your lunch at Bakwa lodge, head to the airport and take off to Mauritius! Once at the SSR airport in Mauritius, a private car will take you to Heritage le Telfair, a 5-star resort where you will spend the next 6 days of your trip. Once you are all set up at the luxury hotel, it’s time to get back to the beach and try your new Kitesurfing spot. Heritage Le Telfair is located on the south coast of Mauritius, one of the most picturesque location of the island with a stunning turquoise lagoon. With the south trade winds blowing in its direction, you will have the ideal sea and wind conditions for kitesurfing. Kitesurfing involves spending a lot of energy, hence food and nutrition is important to stay on top of your form. If you are a “foodie” and love discovering new flavours and cuisines, we invite you to indulge in the Mauritian gastronomy at the C Beach Club. If you would like to try some fusion food, try the Thai restaurant, Gin’ja, at Heritage Le Telfair. Simply Amazing! Discover the authentic village of Chamarel, located on the south of Mauritius!After a copious breakfast at the hotel, a car will be available to you for the trip. There’s nothing like taking the scenic south route, the ideal way to explore the island by car. You will have the opportunity to totally immerse in the culture of the island, find the hidden eats and meet the locals. Tantalize your taste buds with the new menu at Le Chamarel’s restaurant called “La Tab’Diri”, meaning “The rice table” in creole, offering a wide variety of local dishes. In the early afternoon, embark on the second part of your trip: A ride in the lush green of Heritage Nature Reserve. Have fun with nature and explore the breath-taking wilderness of Mauritius on quads or buggies. If you are a nature lover, take the detour through Ebony Forest, a 45-hectares man-made forest where you will discover endemic plants of Mauritius. Another day full of thrills and new kitesurfing tricks! The sun is shining, the wind is blowing in the right direction and the water is perfectly warm… Right time to catch the two-hour morning session! During your relaxing time, take a stroll along the white-sand beach or further enjoy the warm turquoise water by doing some stand-up paddle or windsurfing. C Beach Club offers exquisite Italian and Mediterranean cuisine, a must try! All in a sophisticated setting and yet relaxed atmosphere. Let’s slow down the pace and take some time to relax! Spend the day doing various activities at your own pace. It’s the perfect time to visit the Domaine de Bel Ombre and discover its fascinating castle nestled in a sumptuous tropical garden. For the more adventurous, why not try the 18 -hole golf course? Foodies, delight your taste buds with the fine cuisine of le Palmier restaurant for lunch. In the afternoon, enhance your sense of well-being and have an invigorating experience at the Seven Colours Spa of Heritage Le Telfair. Ranked amongst the best hotel spas in Mauritius, this wellbeing sanctuary offers special treatments to improve your health while relaxing, as well as group or individual activities including Yoga, Tai Chi, Pilates and Qi-Gong. Discover the joys of stand-up paddle and the beautiful Tamarin Bay, located on the west coast of Mauritius in the small village of Black River. Beginners are invited for a 3-hour session of stand-up paddle in the barachois of Tamarin, while kite surfers, will have the opportunity to go on a downwinder kitesurfing from Bel Ombre to Tamarin accompanied by the KiteGlobing & rescue team. Best of all, you may even go on a memorable catamaran cruise either at early morning or at sunset. Your holiday is coming to an end, so let’s make the most of it! Many activities have been planned for this day, so get ready! Start your day off with a breakfast full of tropical flavours before heading to Black-River for a snorkelling session. You will have the opportunity to enjoy a dolphin watch in the bay of Tamarin, dive in the luminous ocean, and lunch at Ile aux Bénitiers. Be sure to please your taste buds with fresh grilled fish & lobsters, a selection of salad and rum cocktails. Back to Bel Ombre, make your evening extra special with an exquisite dinner. The Heritage Awali Boma experience will bring an African touch to your evening. Be among the first to book your seat at this popular restaurant to enjoy an exquisite dinner near the beach! Your holiday is drawing to an end and you have reached the last day of your trip in Mauritius. To end your journey beautifully, head to one last session of kitesurf in the mesmerizing lagoon of Mauritius or enjoy a refreshing dip in the stunning turquoise water of Bel Ombre’s coast. Time has come to bid farewell but you will go back home with the most memorable and enriching holiday.